Cleaning-in-place (CIP) of chromatography media (resins) is important for the integrity and safety of the final biopharmaceutical product. 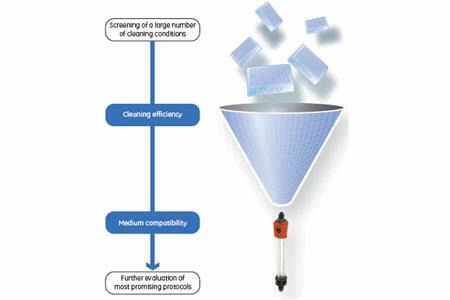 Efficient and media compatible cleaning procedures also increase the column lifetime and thereby contribute to cost effective processes. This application describes screening of CIP conditions for MabSelect SuRe™ in a monoclonal antibody (MAb) process. However, the methodology is generic and can be applied to any combination of chromatography media and feed.